Home Libraries: For Those With & Without Books! 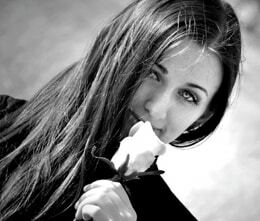 If there is one thing that I love in my life, it’s books! Especially design books. What could be better than buying a huge glossy coffee table book, featuring the work of your favorite designer?! I have so many design books in my home that storage has been a bit of a problem in the past, not to mention my magazine collection! With so many gorgeous design mags out there, it’s hard not to collect them for reference, I was sad to leave many behind when I moved last, with most dating back to 1995! 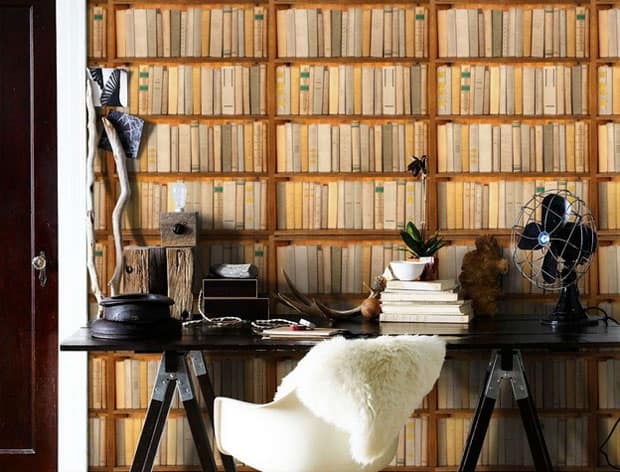 NYC interior designer Betty Wasserman finds a great way to display design books in this gorgeous Hamptons home. 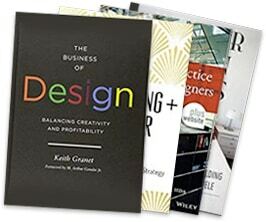 The books look like they are artwork on display, with easy access and a great contemporary feature. Betty Wasserman makes a bookcase into a decorative feature in this awesome New York home. 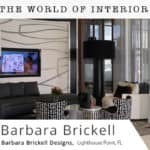 The large stone contemporary fireplace is complimented by the bookcase and sofa, all ready for a cozy evening by the fire, reading a favorite book! But what if you don’t own a lot of books but want to give the impression that you own a library? This wall mural would be perfect! 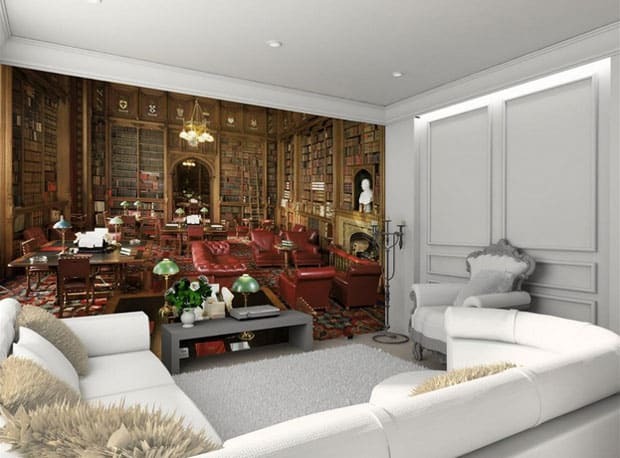 It is as if the living room is part of a classic library! Or how about a more modern library? 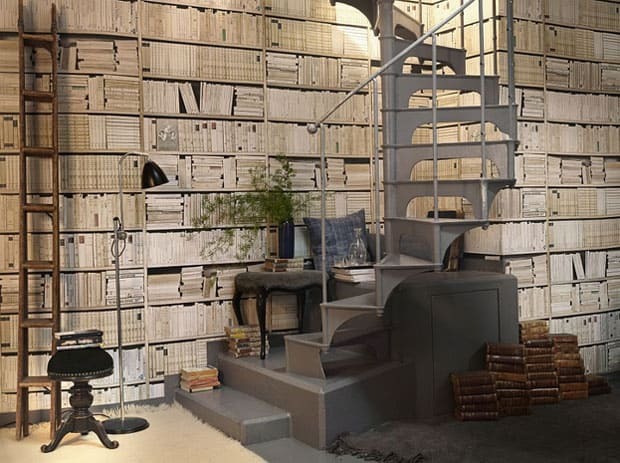 This wallpaper almost looks real, especially with the addition of the step ladder...can you reach a book for me at the top?!! The gray spiral staircase and decor accessories make this a beautiful scene. 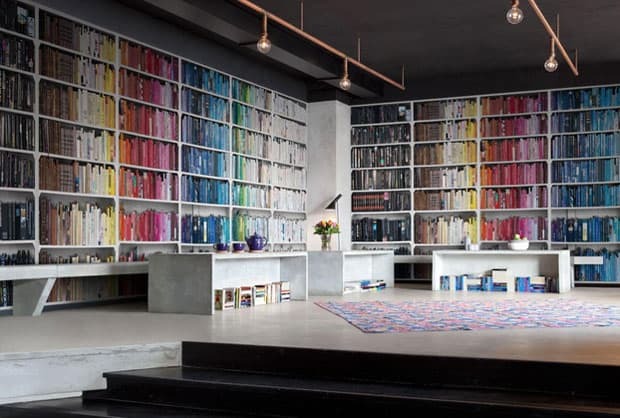 This wall mural image of a colorful library could easily deceive you into thinking it is all real books! I would love to own a library in my home on this scale! Obviously with real books! 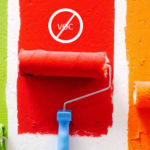 The colors are amazing, though, what a great space. 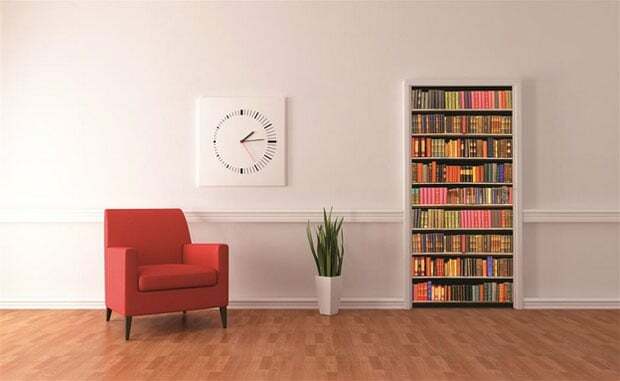 This is also a wall mural that has been placed onto of a door...I think this is a good idea, to add a decorative feature into your room, if the majority of the decor in the room is quite minimalistic. The colors are so vivid, I would definitely consider having something like this in my home...if I didn’t have so many real books that is! Another library wall that could be mistaken for real books. The stunning decor accessories on the desk give a nod to natural materials. The colors work so well together, coordinating perfectly in this workspace. I’m not sure I could work well surrounded by so much, but it obviously works for someone! 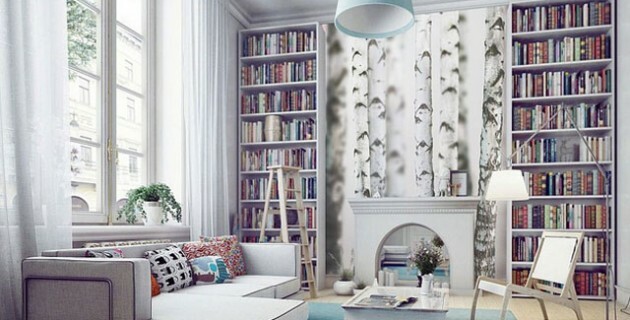 How do you display books in your home? 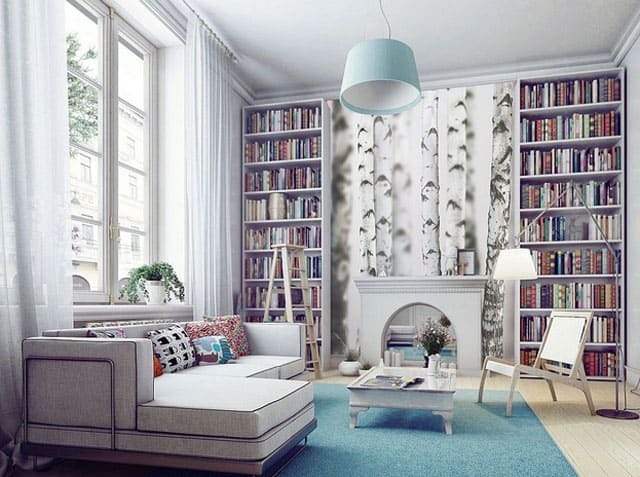 Would you consider a book wall mural? I would love to know!